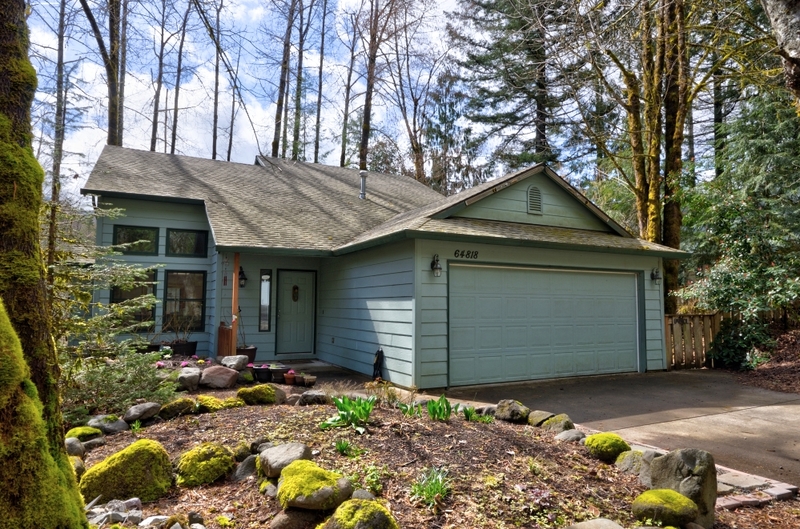 Custom built Sandy River home located in the riverfront community of Timberline Rim. Three bedrooms and two and a half baths with vaulted living room ceiling, natural light and an open floor plan. Lots of bells and whistles at this home from the wood windows, multiple skylights, big riverside deck, two walk in closets and an oversized utility room. The roof is only two years old! Low HOA fees of $264 per year. 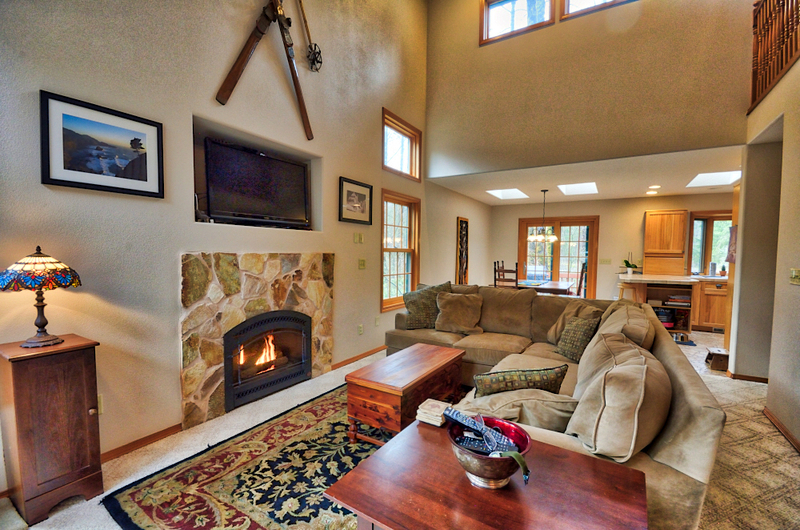 Amenities include pool, tennis court, basketball court and lodge.